One of the biggest hardships that our undocumented communities face is the lack of accessibility to affordable healthcare. It is important for our communities to take care of not only their physical health but their mental health as well, especially while we are being targeted constantly by our current racist and xenophobic administration. In the last three years our communities have been constantly attacked by Trump and his racist administration. Many of our undocumented people have lost family members or friends to deportation. Either that or they themselves are facing deportation and both their mental and physical health are suffering and enduring intense trauma as a result. Some don’t know how to deal with their health during these devastating times, which is why it’s important for organizations to have resources and programs for our undocumented communities to be able to prioritize their overall well being..
Our UndocuHealth program is doing this work by providing programs and trainings that are offering our communities knowledge on how to deal with anxiety and stress during these difficult times for our communities. Their mission is to educate, build, and promote undocumented communities’ mental health and wellbeing. Initially the point of UndocuHealth was to cultivate a sense of wellness between the youth who are organizing to prevent burnouts and for them to have tools to deal with the emotional trauma that they’re facing and to be implemented within their own communities. The tools given to our communities are broken down into three main sections. The first section focuses on trainings of decolonizing wellness. Decolonizing wellness aims on touching base on why our communities are suffering from diseases and why we have less access to healthy food. The second section focuses on how we can use the natural tools in our bodies to prevent our bodies from being impacted from trauma through practicing indigenous techniques. The final section is the community experience in which our UndocuHealth team has UndocuHealing retreats or healing circles to give our community members knowledge of ways in healing outside of the walls of going to hospitals or doctors. 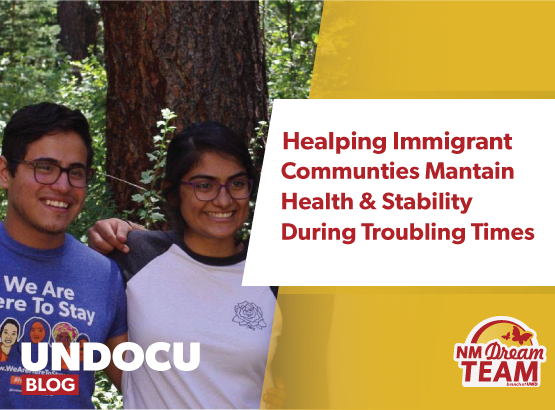 Currently the UndocuHealth team is also facilitating trainings throughout our different chapters in the state of New Mexico and across the country. Last week our UndocuHealth team took a trip to Tennessee to support the Education Justice team with a training to build power in the south. They incorporated UndocuHealth and its important relation while organizing, giving tips and techniques so they can succeed in their organizing work. “I think it’s important to value ourselves as undocumented people. We go through a lot in life and sometimes we don’t pay attention to what’s actually going on with our body or our minds. Value yourself, your mental health, physical health and your spiritual health, everyone deserves good health.” Jennifer Garcia, UndocuHealth director said. 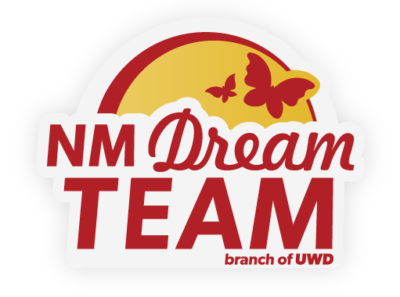 New Mexico Dream Team’s UndocuHealth will be having it’s 5th UndocuHealing retreat July 4th-7th.